Patients use, misuse, and abuse alcohol and other substances. These patients can be helped. They often aren’t. They often aren’t, because they simply are not asked. 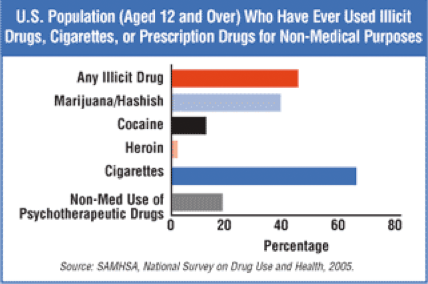 Substance use, misuse and abuse affect a very large number of people, including adolescents. They can substantially damage people’s mental, physical, personal, and professional lives. No matter the specialty you choose to practice, you will encounter patients who are affected by their own or a significant other’s substance abuse. Often, their abuse will affect the management of some other medical issue about which you are concerned. As a pediatrician, you will be in a position to advise parents and your young and adolescent patients about the serious consequences of early substance use. No matter how long you practice and how experienced you are, you cannot tell just by looking or talking to a patient what their pattern or frequency of substance use is. You have to ask and you have to be specific. Do I have to tell parents? A minor who voluntarily seeks treatment for alcoholism, alcohol abuse, or drug abuse may receive treatment without notification of consent of the parents/guardians (IC 12-23-12-1) BUT Parental notification of minors who seek care for substance abuse is at the discretion of the clinician (IC 12-23-12-2). You don’t have to, but you can, and if you can get the minor to agree that it is a good idea, then that is the best outcome. A Motivational Interviewing (MI) approach, discussed later in this course, can help! How Can a Physician Address These Issues? Like most chronic diseases, substance use must be identified before it can be treated and managed. Like the developmental delays and disabilities for which you regularly screen your patients, substance use must be identified before it can be treated and managed. 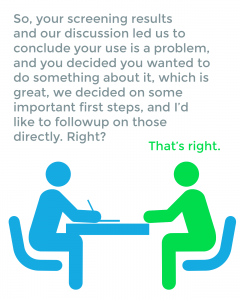 Screening for and intervening on these substance use issues can be done in many ways: a 2-question screening tool, a single-sentence advice statement, a comprehensive formal screening tool or in-depth counseling session. Screening, Brief Intervention and Referral for Treatment (SBIRT) is a simple method that any physician can adopt to help identify and briefly intervene to help their patients with substance use issues. And, as you will see, these small interventions can have a big impact. The primary goal of SBIRT efforts is to identify and respond to patients who use substances, including alcohol, in a hazardous, risky, or harmful manner. A secondary benefit of SBIRT is that patients with substance use disorders (i.e. abuse, dependency) are recognized too and may be referred for additional assessment and/or specialty addiction treatment. In this course, “substances” includes alcohol, as well as illicit drugs, prescription medications, and tobacco. We also use the terms use, misuse, and abuse, somewhat interchangeably, although they have, especially abuse, clinical differences which are discussed later. Any substance use can have negative consequences. In terms of illicit use, or tobacco, substance use of any kind can be detrimental. For alcohol and prescription medications, use may be okay but misuse, that is hazardous drinking, overuse, or use without a prescription, is a problem. Regardless of the substance and the terms used to describe use, many of your patients will be affected adversely by substance use. By using SBIRT with each and every one of your patients, each and every visit, you can play a significant role in reducing these adverse effects. Thus, the much larger population of patients seen in primary care who screen positive for hazardous and/or harmful substance use are the target group for SBIRT. Thus, in pediatric practice, the main target groups of SBIRT are those “non-users” who may benefit from brief advice to maintain abstinence and those non-dependent early users who may benefit from early intervention such as brief counseling. A considerably smaller sub-set will be detected who have a clinical condition (i.e. substance use disorder), and these patients should be appropriately referred for more specialized assessment and treatment. That is, for a typical substance user pyramid, SBIRT specifically targets the often overlooked middle of the pyramid and also has the benefit of frequently identifying those at the top end as well. Screening takes too much time. Providers may annoy patients by screening them. There is no available place to send a patient who screens positive. The costs associated with screening and treatment will not be compensated and will be prohibitive. My patients are not at risk. These are usually simply not true. Dr. Nora Volkow, Director of NIDA, strongly conveys NIDA policy that physicians screen their patients, and NIDA has several other related videos on implementation of substance use screening. Before turning to an introduction to the benefits, effectiveness, and steps for implementing SBIRT, the next modules will briefly discuss the prevalence of substance use and the diverse and significant detrimental effects it can have on our patients’ lives. Consider the following, in the United States in the year 2000 alone, 537,000 preventable deaths resulted from tobacco, alcohol, and illicit drug use, Americans comprise 4% of the world’s population but consume 2/3 of the world’s illicit drugs, almost ¼ of U.S college students meet clinical criteria for substance abuse and addiction, and every American child will be offered illegal drugs at least once before graduating from high school. Adolescents drink…a lot. Did you know…? Alcohol is the most commonly used drug among adolescents and is responsible for more mortality and morbidity in this age group than all other drugs combined. By 12th grade, 80% of high school seniors report having used alcohol, 62% report having gotten drunk, and 31% report heavy episodic use. 9th grade girls drink as frequently as boys. 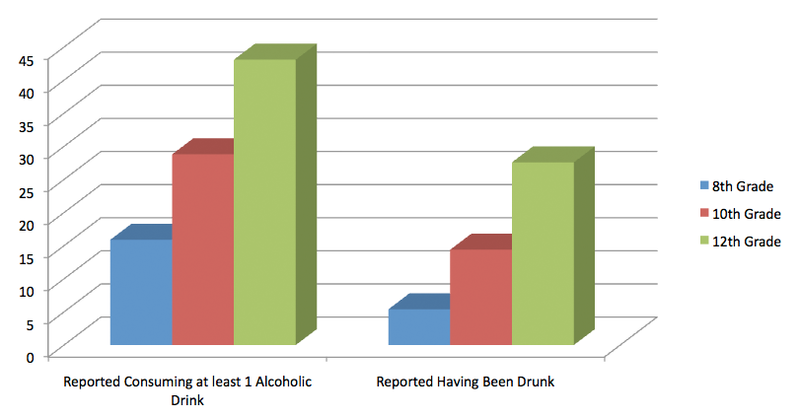 36.2% girls and 36.3% boys reported drinking in the past month.17.3% girls and 20.7% boys reported binge drinking. Rates of drinking differ among racial and ethnic minority groups. Among students in grades 9 to 12, binge drinking is reported by 29.9% of non-Hispanic white students, 11.1% of African American students, and 25.3% of Hispanic students. Percent lifetime reporting. Data Source: Monitoring the Future (University of Michigan). Pregnant Women Are At-Risk. Did you know…? An estimated 10.0 percent reported current alcohol use, 4.4 percent reported binge drinking, and 0.8 percent reported heavy drinking. Binge drinking during the first trimester of pregnancy was reported by 11.9 percent of pregnant women aged 15 to 44. The rate of past month cigarette use among those who were pregnant (15.3 percent) is lower than it was among those who were not pregnant (27.4 percent). However, among those aged 15 to 17, the rate of cigarette smoking was higher for pregnant women than non-pregnant women (20.6 vs. 13.9 percent). All of these remain unacceptably high. The chart below is not comprehensive, but serves to illustrate percentages of use for some of the more common substances. The numbers on marijuana abuse are equally striking. According to the National Survey on Drug Use and Health, in 2007, 14.4 million Americans aged 12 or older used marijuana at least once in the month prior to being surveyed. About 6,000 people a day used marijuana for the first time in 2007 —2.1 million Americans. Of these, 62.2 percent were under age 18. In addition, over 5 million Americans used cocaine in the past year. 1.0 million had abused crack at least once in the year prior to being surveyed. National Survey on Drug Use and Health. Methamphetamine is also prevalent in the United States: an estimated 529,000 Americans were current (past-month) users of methamphetamine (0.2 percent of the population). Of the 157,000 people who used methamphetamine for the first time in 2007, the mean age at first use was 19.1 years, which is down from the mean age of 22.2 in 2006 (National Survey on Drug Use and Health). However, the number of individuals aged 12 years or older reporting past-year methamphetamine use declined from 1.9 million in 2006 to 1.3 million in 2007. Although inhalants are not often perceived as a substance of misuse or abuse yet, this is an increasingly common risky behavior affecting your patients. The NIDA-funded 2010 Monitoring the Future Study showed that 8.1% of 8th graders, 5.7% of 10th graders, and 3.6% of 12th graders had abused inhalants at least once in the year prior to being surveyed. Finally, according to the CDC’s State Tobacco Activities Tracking and Evaluation (STATE) system report, in 2008, 26.1% of Indiana residents used tobacco which was second in prevalence only to West Virginia, at 26.6%. In 2008, nearly 71 million Americans age 12 and older had used a tobacco product at least once in the month prior to being surveyed (National Survey on Drug Use and Health). Such tobacco use is linked to increased morbidity and mortality. Substance use is a problem, one that is prevalent and growing, and that affects many of our patients, even in the absence of an obviously related primary complaint. This prevalence is troubling but it also represents an opportunity for health care providers. SBIRT is a tool set to assist in taking advantage of this opportunity. And, SBIRT can help us reduce the likelihood that substance use will lead to serious adverse personal and health consequences. Those consequences are diverse, pervasive, sometimes subtle, and are the subject of our next section of this module. Substance use is a highly significant cause of preventable death in the United States. Substance abuse and misuse are responsible for a large number of annual deaths. As illustrated in the table below, in 2000, tobacco use was responsible for 435,000 deaths, alcohol consumption for 85,000, and illicit drug use 17,000. This does not take into account the many non-fatal physical, personal, and social consequences of use, misuse, and abuse of substances. In addition to death, substance misuse and abuse can lead to a wide variety of negative personal consequences for our patients, including physiological effects and interpersonal ones. Considering alcohol alone, the statistics are grim. Approximately 5,000 individuals under the age of 21 die annually from injuries related to alcohol use. Of these, about 1,900 individuals died from motor vehicle accidents, 1,600 from homicide, and 300 from suicide. In fact, in 2000, individuals from 12 to 17 years old who reported past-year alcohol use (19.6%) were more than twice as likely as youths who did not (8.6%) to be at risk for suicide during this time period. And of all children under age 14 killed in vehicle crashes in 2006, 23% were killed in alcohol-related crashes. U.S. high school students who frequently binge drink are at higher risk of physical and sexual assault, multiple types of non-fatal injuries including motor vehicle accidents and engaging in risky sexual behavior. But these numbers only tell a small part of the story. Alcohol and other substance use have numerous short and long-term consequences for the mental, physical, and social well-being of the adolescent. For example, among adolescents who drink alcohol, 38-62% report having had problems related to their drinking, such as interference with work, emotional /psychological health problems, development of tolerance, and inability to reduce frequency and quantity of use. Adapted from Rayburn WF. Maternal and Fetal Effects from Substance Use. Clinics in Perinatology. 34(2007):559–571. Alcohol consumption during adolescence is known to affect growth, body composition and the menstrual cycle. Even moderate alcohol intake has been shown to depress estrogen levels for up to 2 weeks in adolescent girls aged 12 to 18. Menstruating women with moderate to high alcohol intake are known to have a variety of menstrual and reproductive disorders, from irregular menstrual cycles to complete cessation of menses, absence of ovulation (i.e., anovulation), and infertility. Among women with infrequent, non-binge pattern alcohol, pituitary LH secretion can be affected resulting in temporary anovulatory states. Source: Emanuele MA, Wezeman F., and Emanuele NV. Alcohol’s Effects on Female Reproductive Function. Alcohol Research & Health. 2002. 26(4):274-281. 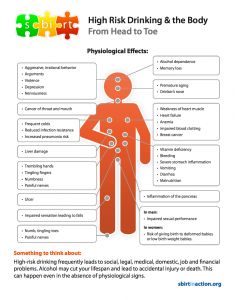 Hazardous alcohol consumption, for example, can affect practically every aspect of a person’s health and well being, as illustrated in this poster courtesy of the Academic Edge, Inc. Moreover, although specific detrimental effects of substance use vary by substance type, level of use, and individual patient factors, in general, it can affect all body systems. The table below captures a few of these effects. The important thing to remember is not which substances affect which systems, although understanding such a relationship can suggest when a particular patient’s symptomology may in fact be related to substance use, but rather than substance use has a pervasive effect on our patients’ health and that by screening each and every patient on a regular basis we can do our part in reducing these negative outcomes. Many substances, particularly alcohol, are related to or exacerbate mood disorders. For example, girls ages 12 to 16 who are current drinkers are four times more likely than their nondrinking peers to suffer from depression. Beyond physiological effects, the social costs of substance use and abuse can be very serious as well. Direct consequences of drug use such as possession of illegal substances, driving under the influence of substance use, etc. For those of you who are involved in the care of older adolescents and young adults, let’s consider the spectrum of problems associated with risky drinking during the college years. Big Problems. What to do? Substance misuse and abuse are prevalent and lead to significant personal and societal consequences. But small steps that all providers can easily take with each and every one of their patients can lead to earlier detection of problems, increased effectiveness of treatment, and reduction in long term prevalence and sequalae. The question is, how? There is no panacea for substance use, misuse, and abuse, but there is an emerging technique called Screening, Brief Intervention and Referral to Treatment (SBIRT) that has proven to be effective in many cases. Not only has it been shown to be effective, it is efficient in terms of time and effort expended! The SBIRT Initiative represents a paradigm shift in the provision of treatment for substance use and abuse. The services are different from, but designed to work in concert with, specialized or traditional treatment. The primary focus of specialized treatment has been persons with more severe substance use or those who have met the criteria for a Substance Use Disorder. The SBIRT Initiative targets those with non-dependent substance use and provides effective strategies for intervening with these individuals while also including procedures for referring those who need more extensive or specialized treatment. SBIRT addresses those relatively small but frequent problems that are related to alcohol and other drug use, and in addition, allows for opportunistic identification and referral of patients who may have a clinical alcohol or drug use disorder. With SBIRT, providers can address myriad relatively small problems early and rapidly (e.g. insomnia, stomache ache, drug interactions, etc.) and prevent another set of problems from occurring (i.e. injury, infection, etc.). Even though these problems are relatively small compared to alcoholism (i.e. liver disease, esophagel varices, Wernicke-Korsakoff syndrome, etc. ), there are so many more of them and collectively they affect a wider range of our patients and, in the long run, may contribute a much larger cost to our health care system. SBIRT allows you to systematically address these smaller substance use problems with each and every one of your patients while it also enables you to identify patients with more significant substance misuse and abuse issues. Its a win-win for you and your patients. SBIRT has been shown to be effective in multiple settings and is endorsed by numerous organizations and government agencies, including the USDHHS Substance Abuse and Mental Health Services Administration. In this course, evidence and procedures for each of the three major SBIRT components are discussed in their own learning modules after a brief module on substance abuse basics. This web-based course is designed to promote your knowledge of and understanding related to the following learning objectives. Understand the extent of the problem of substance use in the United States. Identify the key components of SBIRT. Understand and describe the necessary steps involved in proper screening, brief intervention, and referral to treatment process. Understand and explain how SBIRT services are integrated into the clinic setting. Understand how SBIRT can be incorporated into clinical sessions in a quick (little time required) manner. Understand and explain why it is important to identify and address alcohol/drug use during the clinical session. Understand how to use the Audit-C screening tool. Understand and relate appropriate levels of brief intervention to level of alcohol use risk. Describe and provide a brief intervention for substance use in a primary care clinic setting. Describe and provide a referral to treatment for substance use in a primary care clinic setting. Describe the value of SBIRT to patients in terms of rate of abstaining from a substance or reducing alcohol use to recommended levels in response and the resulting health benefits. Explain one or more different ways how SBIRT can be implemented in his/her practice. Understand the extent of the problem of substance use among adolescents in the United States. Understand the stages of substance use from potential for use to addiction in adolescents and adults. Understand the medical and social consequences of adolescent substance. Understand how to use the CRAFFT screening tool within the context of an adolescent interview. Understand and describe an approach to anticipatory guidance regarding risky behavior in adolescents. Understand the extent of the problem of substance use among adults, adolescents and pregnant women in the United States. Understand the medical and social consequences of substance use for the pregnant and non-pregnant adult or adolescent. Identify differences in substance use terminology and choose appropriate terms for use on counseling. Understand how to use the Audit-C screening tool with adult patients. Understand how to use the CRAFFT questionnaire with adolescent patients. Understand how to use the TWEAK & T-ACE screening tools within the context of an obstetric interview. Substance use, misuse, and abuse terminology can be complex, so can the idea of use limits, and even what constitutes a drink. This module introduces basic clinical terminology, drinking limits, and the standard drink. Several behavioral and environmental risk factors have been identified that increase the risk of substance abuse in the adolescent years. Individuals characteristics associated with childhood or adolescent substance use include decreased impulse control, the need for immediate gratification, and the need for peer acceptance. Parental use and/or abuse of alcohol, tobacco and other drugs is one environmental risk earlier in life. In the adolescent years, peer substance use and the availability of tobacco, drugs, alcohol, inhalants are additional risk factors for substance use and abuse. Peer influence plays a significant role in the decision if and when to experiment with tobacco, alcohol and other drugs including marijuana and inhalants. At this point in the adolescent substance use spectrum, few, if any, consequences of use exist. This, in addition to the “high” associated with the early stages of use may serve to reinforce the use behavior. Occasional, episodic use may increase to regular weekend use. There may be little apparent behavior change from the point of view of parents or other family members, teachers and health care providers. Age at onset of use may play a role in future substance use disorders. 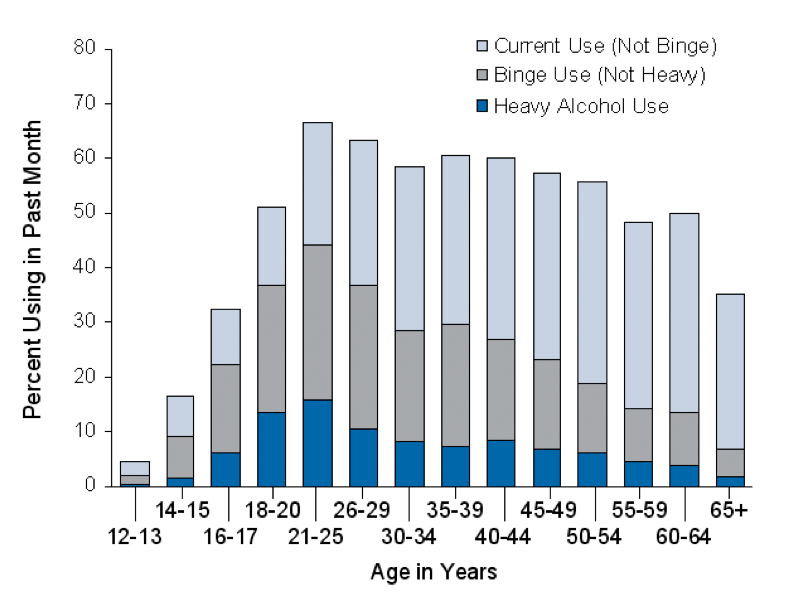 For example, of those individuals who began drinking before age 14, 47% became dependent at some point, compared with 9% of those who began drinking at age 21 or older. Some consequences may be incurred by the adolescent at this point including punitive consequences from family/legal or school system as a result of substance use or trauma as a result of intoxication. The adolescent may increase the frequency of use or use alone and engage in buying or stealing drugs. At this stage, the adolescent engages in the daily use of drugs. He or she may perceive a loss of control over their substance use. Multiple consequences of the substance use are occurring which may not deter use. An increase in risk-taking behavior may increase including risky sexual behavior and driving under the influence of substances. 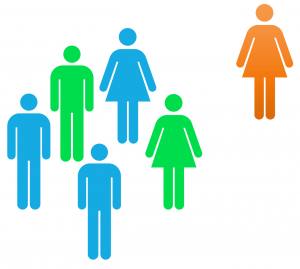 The adolescent often experiences estrangement from family and “straight” friends. The adolescent may engage in the use of multiple substances and may be dependent or addicted to more than one substance. Feelings of guilt, alienation, shame, remorse, and depressed mood are common in the adolescent at this stage. Physical and mental deterioration are also often seen and can manifest as withdrawal from organized sports, exercise intolerance, insomnia, poor memory, poor concentration, apathy and/or mood lability. Continued risk-taking behavior, self-destructive behavior, and/or suicidal behavior may mark this stage of adolescent substance use. Before we talk about screening and intervening for substance use, there are some related terms that you should consider: dependence, tolerance, and addiction. If you think that these terms are difficult to pin down, well, they are, and we should all remember that our patients likely struggle with them as well. Many patients see all these terms as being the same. Other patients may bristle at certain terms such as “addiction” and just hearing this word may shut down further open dialogue. So let’s begin by defining these terms for our own clarification before we use them with our patients. The following definitions are drawn from DSM-IV, NIAAA and NIDA. The term addiction can be offputting to patients, sometimes shutting down conversation. These terms are used in concert with the previous terms but are used exclusively when discussing alcohol. The new Diagnostic and Statistical Manual of Mental Disorders, Fifth Edition (DSM-V) no longer distinguishes between abuse and dependence. Instead the term “Substance Use Disorder”is used to outline a cluster of cognitive, behavioral and physiological symptoms experienced by an individual who continues using the substance in spite of significant consequences related to substance use. In 2010, the new DSM-V was released and several changes were made regarding the definitions of substance use disorders. The Substance-Related Disorders Work Group has been responsible for addressing these disorders. Among the work group’s proposals is the recommendation that the diagnostic category include both substance use disorders and non-substance addictions. The work group had extensive discussions on the use of the word “addiction.” There was general agreement that “dependence” as a label for compulsive, out-of-control drug use has been problematic. It has been confusing to physicians and has resulted in patients with normal tolerance and withdrawal being labeled as “addicts.” This has also resulted in patients suffering from severe pain having adequate doses of opioids withheld because of fear of producing “addiction.” Accordingly, the word “dependence” is now limited to physiological dependence, which is a normal response to repeated doses of many medications including beta-blockers, antidepressants, opioids, anti-anxiety agents and other drugs. The presence of tolerance and withdrawal symptoms are not counted as symptoms to be counted for the diagnosis of substance use disorder when occurring in the context of appropriate medical treatment with prescribed medications. Remember, the important thing about these definitions isn’t so much that you memorize them, but rather that you and your patient (and colleagues) communicate clearly and effective using terminology of which you share a common understanding. Without that common understanding, we may misunderstand our patients, they may misunderstand us, they may answer our questions incorrectly–”No, I’m not addicted.”–because they key into the word and not into their behavior. Moreover, certain terms, like addiction can be counterproductive to your relationship with your patient. So it is best to avoid using it unless you have already established a pattern of behavior and level of comfort with your patient. According to epidemiologic research, men who drink more than 4 standard drinks in a day (or more than 14 per week) and women who drink more than 3 in a day (or more than 7 per week) are at increased risk for alcohol-related problems. Individual responses to alcohol vary, however. Drinking at lower levels may be problematic depending on many factors, such as age, coexisting conditions, and use of medication. Because it isn’t known whether any amount of alcohol is safe during pregnancy, the Surgeon General urges abstinence for women who are or may become pregnant. An illustration that can be used to explain these limits to patients is provided courtesy of Academic Edge, Inc. There are no defined low-risk drinking limits for children, adolescents, or women who are or may be pregnant. Alcohol disperses in body water and women have less water in their bodies than men do. 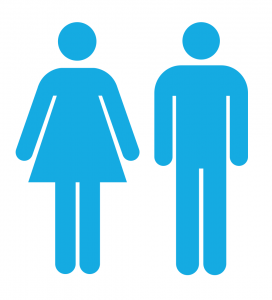 If a man and woman of the same weight drink the same amount of alcohol the woman’s blood alcohol concentration will tend to be higher putting her at greater risk for harm. Alcohol may produce different end-organ damage in women than in men (in areas such as breast tissue). When is “Low-Risk” Drinking Still too Much? What About Other Substance Use? It is important to remember that the concept of “low-risk” use is currently limited to alcohol consumption. There is little research to support “safe” or “low-risk” limits on other substances such as tobacco, marijuana or other drugs (that are used non-medically). For substances other than alcohol, therefore, clinicians cannot provide advice that indicates a certain level of non-medical use is no risk or even low risk. Our patients may seek re-affirmation that their ‘minimal’ recreational use of a ‘safe’ drug is okay, but providers cannot, of course, provide this validation. Instead, we can turn to motivational interviewing strategies, which will be discussed later, to help the patient explore their use and ways they might cut back or abstain altogether. One component of the ability to effectively address substance use and abuse is the ability to communicate clearly with a patient about his or her behavior. In many cases, a patient may not know what constitutes a “drink” of alcohol. For example, a “mixed drink” may contain 3 or 4 standard drinks of alcohol. It is important to quantify substance use if possible. Similar to asking how many cigarettes a patient smokes, you should ascertain how many drinks a patient has per day and per week. You need to start by having a common definition of what a “drink” is. A handout, provided here with permission of Academic Edge, Inc., may help your patients better understand drink sizes. 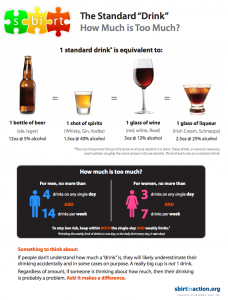 Some other common alcohol drink sizes are listed in the graphic below. Substance use terminology is important to define precisely for patients to prevent misconceptions. If we are not using words the same way, we are likely to miscommunicate! There are materials to help us explain limits and standard drinks to patients. These can make our patient interactions more accurate and effective as we screen, briefly intervene, and refer to treatment. In general, screening is the examination of a group of usually asymptomatic people to detect those with a high probability of having a given disease, typically by means of an inexpensive diagnostic test or simply some straightforward questions. Screening does not establish definitive information about diagnosis and possible treatment needs. Screening for substance use is a quick, simple way to identify risky and harmful use of substances and respond in an appropriate and effective manner. In some relatively rare instances, screening may lead the physician to refer the patient for further assessment or treatment. One goal of SBIRT is, therefore, to establish substance use screening as a part of usual care in order to identify patient issues that would not otherwise be noticed or would not be detected until much further along. There are many validated tools that can be used to assist you to screen patients. These will be introduced in this module. In fact, you can screen a patient with as few as two, or even one, question. Remember that how you ask these questions is as important as the screening tool you choose. The majority of patients express concern that their health care provider is neither involved with their substance abuse- or addiction-related issues nor capable of detecting addiction or substance use issues when they are present. These numbers are a cause for concern and patients’ perceptions are not entirely unfounded nor do they fail to represent physicians’ own perceptions of their involvement with patents’ substance use. The answer to the question “why screen for substance use,” then, is because if we do not, then we are missing valuable opportunities to help our patients, and to do so with a minimum of time and effort. Screening tools are validated, quantifiable, and reproducible. They provide us key data to augment and move beyond our own intuition and “hunches” regarding who among our patients may or may not be using substances. In turn, the processes enabled by the use of screening–the repeated asking and tracking of standardized substance use questions and answers–should, over time, address both patients’ and physicians’ perceptions about physicians’ ability to detect or identify substance use, misuse, abuse, or addiction. In short, where these statistics suggest a problem, a gap in our performance, the regular and systematic use of screening tools with each and every one of our patients represents a means of scientifically closing that gap while simultaneously offering the possible of improve patient outcomes. Why screen for substance use? Screening for a variety of disorders is common in pediatric practice. In the case of substance use, screening can actually open up discussions that reveal more than just usage history and patterns. Let’s look further at some of the reasons for routine substance use screening of pre-adolescents and adolescents. When you think about screening, what disorders come to mind? The purpose of screening is to detect common diseases and disorders in the populations we care for. As it turns out, substance use disorders are among our most common conditions in any patient age category. 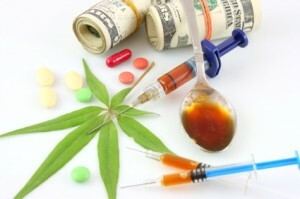 Data from the National Institute on Drug Abuse’s 36th annual Monitoring the Future Survey revealed that in 2010, 48% of U.S. 12th graders surveyed had reported at use in their lifetime of at least one illicit substance. Of those, nearly half had used in the past month (23.8% of respondents). The consequences of early alcohol and drug use can be far-reaching. Substance use before age 18 has been associated with an eightfold greater likelihood of developing substance dependence in adulthood. Adults who began to use alcohol before age 15 are five times more likely to report previous-year alcohol dependence or abuse than those who began alcohol use at age 21 or older. So given the frequency of adolescent alcohol and drug use and the potential for significant future adverse health outcomes, it makes sense to screen just from a “numbers” standpoint. Part of the difficulty in screening for substance use among adolescents comes from a sensitivity regarding patient privacy and a desire to establish trust. It may be difficult or impossible to discuss these issues in front of a parent or ask to interview the patient alone. However, studies do show that patients do not mind being asked about their substance use. In some cases, patients genuinely want to discuss these issues with their primary care physician. A survey of adolescent females in the U.S. revealed that though only 35 percent of adolescents reported discussing substance use with their primary care physicians, 65 percent of the sample said they wanted to. Have you ever been shocked to learn a patient was using an illicit substance? It turns out that, as physicians, we do a terrible job of judging a book by its cover. Physical signs, mode of speech, dress and manner provide very poor clues about which patients are engaging in risky substance use behaviors, particularly in the experimental and early regular use phases of adolescent substance use. Screening tools are validated, quantifiable, and reproducible. The adolescent population has been well-studied in terms of what screening tools do and don’t “work.” These screening tools have been shown to provide us reliable data to augment and move beyond our own intuition and “hunches” regarding who among our patients may or may not be using substances. Plus, they only take a few minutes to administer by healthcare personnel. Some screening tools have been validated for self-administration, allowing for even greater time efficiency. Screening can open the subject of substance use with the adolescent patient. A negative result on a screening test can provide an opportunity for the pediatrician to focus on the individual’s beliefs about and experience with substance use in their lives. For adolescents, a complex interplay of individual, family, peer, school and community characteristics can put them at greater risk of beginning or continuing substance use. Within all these “domains” of influence also lie factors, which can prevent the individual from engaging in experimental or regular substance use. The grid below outlines the relationship between the risk and protective factors that the pediatrician can use to tip the balance in the favor of safe behaviors. The table below is adapted from Tobacco, Alcohol, and Other Drugs: The Role of the Pediatrician in Prevention, Identification, and Management of Substance Abuse (Kulig, JW, Pediatrics2005;115;816-821) and outlines the interplay of these factors within the domains of influence. The pediatrician can use this knowledge to leverage their influence upon protective factors in the adolescent’s life. Don’t Miss Opportunities to Open the Door! Screening can help identify those at risk, and screening takes very little time. 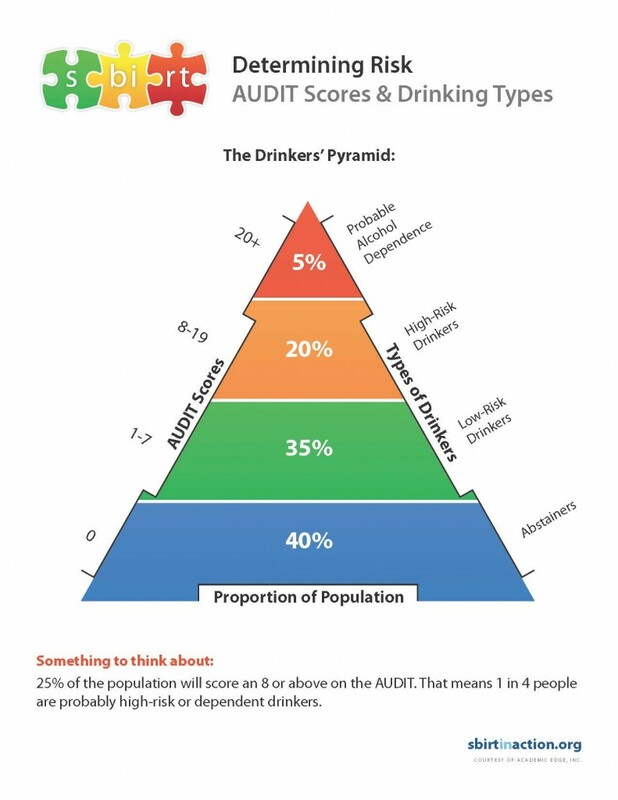 For alcohol, for example, 25% of the population will score an 8 or above on the AUDIT, a brief screening tool for alcohol use and abuse. Are they specific to alcohol use only? Do they cover alcohol and other drugs? What is the method of administration? Administered as part of a clinical interview? Are they designed for special populations? Screening instruments also vary somewhat in length, from the fairly comprehensive ASSIST, which can take up to 10 minutes to complete, to the very brief, comprised on only a couple initial questions. While the following table is not comprehensive nor does it cover all potential screening tools, it provides a good summary of test names, type of screening, method(s) of administration, and whether it is designed for a specific special population. As you can see, many tools exist for screening patients but not every tool is effective for screening adolescents. The CRAFFT questionnaire is a simple, brief tool that can be administered via paper or computer or verbally. The tool was developed to screen adolescents 14 years and older for high-risk alcohol and other drug use disorders simultaneously. CRAFFT is a mnemonic acronym of key words in 6 screening questions preceded by opening questions and is administered in 2 stages. Drink any alcohol (more than a few sips)? Smoke any marijuana or hashish? Have you ever ridden in a CAR driven by someone (including yourself) who was “high” or had been using alcohol or drugs? Do your family or FRIENDS ever tell you that you should cut down on your drinking or drug use? A score of 2 or more “yes” answers on the actual CRAFFT questions is considered a positive screen and indicates a high risk for substance abuse. Which screening tool you use will be in part dependent on personal preference, experiences, and the nature of the environment in which you practice. Most of the above screening tools have been extensively validated and evidence supporting their efficacy. The important thing: choose a screening method and use it with all of your patients. It will become second nature both to you and, importantly, to your patients. As you can see, many tools exist for screening patients but not every tool is effective for screening pregnant patients. The T-ACE and TWEAK screening tools have been validated for the use of screening for alcohol use in pregnant patients. The T-ACE was the first validated sensitive screen for risky drinking in pregnant women. Interestingly, an obstetrician developed the T-ACE after observing that asking patients about their tolerance to the intoxicating effects of alcohol did not trigger denial. One point is given for each affirmative answer to the A, C, or E questions. Two points are given when a pregnant woman reports that more than two drinks are necessary for her to feel “high” or experience the intoxicating effects of alcohol. A score of 2 or more on the T-ACE is considered positive for at-risk alcohol use. The TWEAK is a validated five-item screening tool for risky alcohol use in pregnant women. Like the T-ACE, it asks a question about tolerance that is weighted higher than the other questions when scoring. Eye Opener: Do you sometimes take a drink in the morning when you get up? Amnesia:Has a friend or family member ever told you about things you said or did while you were drinking that you could not remember? K(C): Do you sometimes feel the need to Cut downon your drinking? The TWEAK is scored on a 7-point scale. On the tolerance question, 2 points are given if a woman reports that she can consume more than five drinks without falling asleep or passing out. A positive response to the worry question yields 2 points, and positive responses to the last three questions yield 1 point each. A score of 2 or more on the TWEAK is considered positive for at-risk alcohol use. Few validated tools exist for screening pregnant women for illicit drug use. One tool with good sensitivity and specificity for illicit drug use is the 4P Plus. Parents: Did either of your have any problems with drugs or alcohol? Partner: Does your partner have any problem with drugs or alcohol? Is your partner’s temper ever a problem for you? Past: Have you ever drunk beer/wine/liquor? Pregnancy: In the month before you knew you were pregnant, how many cigarettes did you smoke? In the month before you knew you were pregnant, how much beer/wine/liquor did you drink? Plus: In the month before you knew you were pregnant, how much marijuana did you use? Depending on the answers to these questions, a woman is categorized by her predicted risk status. In one of the original studies of this tool by Chasnoff et al, those women who had never used alcohol were considered low risk because they had only a 1.4% risk of using tobacco, alcohol or drugs during their pregnancy. Those women who had used alcohol in the past but not in the month before pregnancy and did not smoke >3 cigarettes in the month before pregnancy were considered average risk (9% of these were found to be using alcohol or drugs during their pregnancy). Lastly, those women who used any alcohol or smoked >3 cigarettes in the month before pregnancy were considered high-risk (34% of these were found to be using alcohol or drugs during their pregnancy). Any positive answers to the Pregnancy or Plus questions requires further assessment regarding how often and what kind of substances were and are currently used. If no current use, no referral is needed. Educational interventions and substance abuse treatment is reserved for regular use of alcohol or illicit drugs. Chan AK et al. 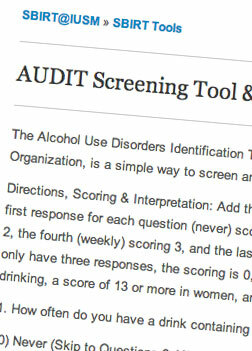 The TWEAK test in screening for alcoholism/ heavy drinking in three populations. Alcoholism: Clinical and Experimental Research 6: 1188 1192, 1993. Chasnoff IJ, McGourty RF, Bailey GW, Hutchins E, Lightfoot SO, Pawson LL, et al. The 4P’s Plus screen for substance use in pregnancy: clinical application and outcomes. J Perinatol 2005;25:368–74. Sokol RJ, Martier SS and Ager SS. The T-ACE questions: Practical prenatal detection of risk-drinking. American Journal of Obstetrics and Gynecology 160: 863 871, 1989. For many of your patients, you will be the first one to ask them about substance use. This may come as a shock to them and cause some initial or ongoing discomfort for them. There are steps that you can minimize the discomfort and maximize the trust between you so that the answers you get are more open and honest. The discussion involving alcohol and drug use should be held in a private setting and without parents present. Having reading material regarding substance use and abuse on display and at the ready for distribution may be helpful in augmenting or reinforcing your message. The adolescent patient should be reassured that your discussion is private. Let the patient know that, unless you have concerns about serious health risks or problems, you will not reveal the details of your conversation to parents or family members without the patient’s permission. Inquiring about individual risk factors for adolescent substance use and abuse can help frame your brief intervention after screening takes place. This information may be helpful in determining what preventive or treatment strategies you employ. Ask questions about self-esteem, family relationships, academic performance and sports and other organized or leisure activities. It is also helpful to learn about other health risk behaviors such as tobacco use or risky sexual activity. use other drugs.” You can follow this with offering a reason for discussing their habits, letting them know that you are concerned with their overall health and those things that can affect it. Drug use frequency – “About how often do you use drugs? Now that you have successfully opened the discussion and completed brief screening and assessment, you are ready to give your patient some feedback. In the next module, we will discuss strategies for brief interventions that are targeted toward prevention and treatment. Even if all you do is reinforce good behavior, your words can make a difference. A number of substance use screening instruments have been developed, and the use of instruments may vary based on state or local regulations, reimbursement policies, or personal preference. 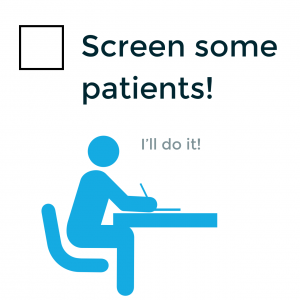 A screen should be simple enough that it can be administered quickly and to patients with a range of literacy levels. It should focus on the substance use severity (primarily consumption patterns) and a core group of associated factors such as legal problems, mental health status, educational functioning, and living situation. The patient’s awareness of the problem, feelings about his or her substance use, and motivation for changing behavior may also be solicited. In the end, is a patient using a substance? If so, how much and how often? Beyond these basic screening questions, we turn to examining the impact of use. What, how often, to what effect? That’s the bottom line when screening for substance use. A brief intervention is a short interaction with a patient that targets small cognitive and/or behavioral changes. Brief interventions can be done in a single session or there may be several across multiple sessions. BIs are patient-centered and target motivating a patient toward behavioral change through non-judgmental, open-ended questioning. Focus on substance use and related problems, specifically patients with problematic or at-risk use. Can be done in a minimal amount of time (ranging from 5–15 minutes in length). Do not take the place of specialized addiction treatment but can be used to encourage those with more serious substance use problems to accept specialized assessment or treatment.. Helping the patient to perceive his/her use as putting him/her at risk for negative health and social consequences by presenting factual information in a non-judgmental manner. Exploring variables in the patient’s life which reinforce the unhealthy behavior and identify variables which may promote positive change. Eliciting specific beneficial behavior changes acceptable to the patient. By asking the patient for suggestions for what they would be willing to try and what steps they might take to reduce their use or to otherwise address the identified problem, they will be more likely to adopt those changes. Agreeing upon a follow-up plan. Getting a patient to “say yes” and agree to next steps is a key component of getting them to actually take those steps. In the end, brief interventions are as much about how you interact with your patients as they are about what you interact about. The overarching approach is to provide information, encouragement, and support in a non-judgmental, clear, and supportive manner. Asking questions, understanding the patients’ perspective (in large part so they come to understand it better themselves as well! ), and acting as a guide is more conducive to a BI approach than directive and authoritarian approaches (“Do this and you will be much better off” simply is not effective with behavioral change). With BI, we acknowledge patient autonomy/responsibility in making positive changes and we build a partnership in working toward healthier behaviors. Why BI? Because Brief Interventions Work! Brief interventions (BI) have been shown to be efficient and effective. They do not take a lot of time, they are easy to do for the provider, and they help patients. The patient-centered techniques integrated in brief interventions foster behavioral change. The medical and health literature has increasingly provided quantitative and qualitative evidence that brief interventions are a best practice approach to intervening with patients who report problematic substance use. Marlatt et a reported that a motivational interviewing approach resulted in reduction in both drinking rates and harmful consequences, when applied in a sample of high-risk college students. Borsari and Carey found that college-aged drinkers who received a brief intervention exhibited a notable reduction on number of drinks consumed per week, number of times drinking alcohol in the past month, and frequency of binge drinking in the past month, and that students were willing and interested to participate in the study. There is evidence for the efficacy of brief interventions in a variety of settings including the outpatient clinic. Because of the scope of the problem and the effectiveness of these interventions, the American Academy of Pediatrics recommends the use of brief intervention techniques in the clinical setting. They further advocate that pediatricians be familiar with motivational interviewing techniques to work with patients who use alcohol but do not meet criteria for immediate referral. To inform clinical guidelines of the U.S. Preventive Services Task Force (USPSTF) about brief behavioral counseling interventions. 10%–19% more intervention participants than controls drank safe amounts. To examine the efficiency of screening and efficacy of subsequent brief intervention (BI) for risky drinkers. Systematic review and meta-analysis of 8 randomized clinical trials that used screening as a precursor to BI for risky drinkers. 9% screened drank risky amounts; 3% received BI. Pooled absolute risk reduction= 10.5% (from 69% of patients drinking risky amounts to 57%). 10 risky drinkers need BI to yield 1 patient no longer drinking risky amounts. Screening 1000 patients and giving BI to 1/3 of patients with positive screens (the average in the studies reviewed) would yield 2 –3 patients no longer drinking risky amounts. Are Brief Alcohol Interventions Likely to Be Effective in Routine Primary Care Practice? To determine whether brief interventions (BI) decrease consumption in nondependent drinkers with unhealthy alcohol use in a range of research designs, investigators reviewed 22 randomized trials of BI including over 5800 patients. Trials were classified on a spectrum from tightly controlled (efficacy design) to real world (effectiveness design). Participants who received BI drank 38 g of alcohol (approximately 3 standard drinks) per week less than those who did not. Longer duration of intervention was not significantly associated with a larger effect. The effect of BI on drinking was similar in studies, regardless of whether they were considered efficacy or effectiveness designs. The USPSTF found good evidence that screening in primary care settings can accurately identify patients whose levels or patterns of alcohol consumption do not meet criteria for alcohol dependence, but place them at risk for increased morbidity and mortality, and good evidence that brief behavioral counseling interventions with follow-up produce small to moderate reductions in alcohol consumption that are sustained over 6- to 12-month periods or longer. Although the brief intervention component of SBIRT can often be the most difficult to implement in practice. This partly because it hinges on your ability to connect with your patient interpersonally, to communicate clearly and effectively with him or her, and to establish a rapport that can lead to personal reflection and behavioral change. Change can be difficult for some patient to achieve, maybe even consider. Understanding that there exist “stages” of readiness for change can help you identify where your patient is in relation to changing their behavior. For those patients who are ready for change or are actively involved in changing behavior, little intervention beyond advices and goal-setting may be necessary. But for those patients who are resistant to change, it can be helpful to use principles from Motivational Interviewing to help your patient explore and resolve ambivalence to facilitate change. So what does exploring ambivalence when talking to patients even mean, and how do you do it? Luckily, there are many practical patient communication tools and techniques that help you translate these principles into practice. One of these tools is the FRAMES technique which is covered in an upcoming section. We want patients to change their behavior. Do they want to change? Do they know they should? Do they even know that changing the behavior is an option? Have they tried changing and failed (or succeeded)? You can imagine how a patient might react differently to the need to change based on their answers to those questions. A theoretical model, called the Stages of Change model captures this notion that not all of our patients come to a behavioral change from the same location. The model is illustrated in the graphic below. Similar change models have more steps, some have fewer. The important thing is the underlying question: what experience has my patient had with trying to make this particular behavioral change? That is, at what stage are they? The premise is that individuals are typically at a specific stage of change, and that each stage of change suggests different approaches: someone who has never considered a problem may be amenable to simple information provision, for example, whereas someone who has tried to change and failed may need different support. Finally, someone who doesn’t recognize the need to change at all requires a different approach too. By understanding these stages and by identifying which stage our individual patients are at we can better help them change their behavior. The table below lists each of the 5 steps, the associated definition, and the brief intervention element associated with that stage. The brief intervention process, as you will read in the “Brief Intervention Elements” section, suggests movement through the stages of change. Patient has begun to cut down or stop use; however, change has not become a permanent feature. The Bottom Line: Identifying a patient’s stage of change helps us tailor our brief interventions so they are more efficient and effective for that particular patient. Motivational interviewing is a directive, client-centered counseling style for eliciting behavior change by helping patients to explore and resolve ambivalence. Compared with nondirective counseling, it is more focused and goal-directed. The examination and resolution of ambivalence is its central purpose, and the health professional is intentionally directive in pursuing this goal. Motivational interviewing (MI) refers to a counseling approach in part developed by clinical psychologists William R Miller, Ph.D. and Stephen Rollnick, Ph.D. It is a patient-centered, semi-directive method of engaging intrinsic motivation to change behavior by developing discrepancy and exploring and resolving ambivalence within the patient. Motivational interviewing recognizes and accepts the fact that patients who need to make changes in their lives approach counseling at different levels of readiness to change their behavior. Remember our Stages of Change? Some patients may never have thought of changing certain behaviors and others may have thought about it but never attempted to change it. Finally, some patients may be actively trying to change their behavior and may have been doing so unsuccessfully for years. Motivational interviewing is a non-judgmental, non-confrontational and non-adversarial approach in working with patients. The approach attempts to increase the patient’s awareness of the potential problems caused, consequences experienced, and risks faced as a result of the behavior in question. Alternately, motivational interviewing trained health professionals help patients think about a better future, and become increasingly motivated to achieve it. Either way, the strategy seeks to help patients think differently about their behavior and to ultimately consider what might be gained through change. How are MI and SBIRT related? Motivational Interviewing is a way of interacting with our patients. It is essentially an approach to communicating with, understanding, and attempting to change the behavior of our patients. As such, principles and strategies of MI can influence all aspects of our patient-provider interactions. SBIRT, on the other hand, is a process for identifying and immediately addressing substance use among our patients. 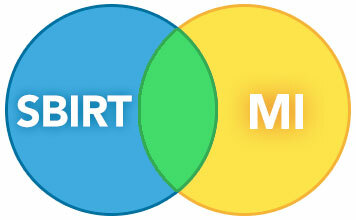 You will likely find yourself using the MI approach throughout your efforts to implement SBIRT in your practice. Put another way: MI is a skill and SBIRT is a process for which that skill is an important component. Stage of change is a way to think about patients and it yields a piece of data (their stage!) you incorporate when using motivational interviewing as part of SBIRT. These get used primarily in the BI (Brief Intervention) step–when trying to change behavior–but can also be important when trying to get solid, honest, accurate information from patients (‘S’) and when getting them to accept and act upon a referral to more specialized treatment (‘RT’). 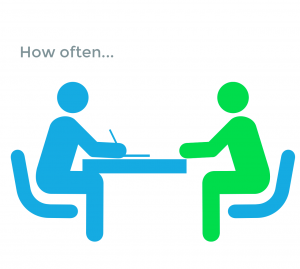 Motivation interviewing is not an approach to use with every patient that you come into contact with; however, it is a tool that can be used often. Three important goals in motivation interviewing are to build a rapport with the patient, elicit change talk, and establish a commitment. Got the motivational interviewing approach down? Let’s look at approaches that put MI into practice…. Provide constructive, non-confrontational feedback about a patient’s degree and type of substance use based on information from structured and objective assessments. Acknowledge the patient’s risky behavior. Review the results of screening instrument (e.g. AUDIT/ASSIST). Discuss personal risks associated with current substance use patterns. Provide general information about substance related risks and harms. Link the patient’s presenting complaint to his/her substance use (when applicable). 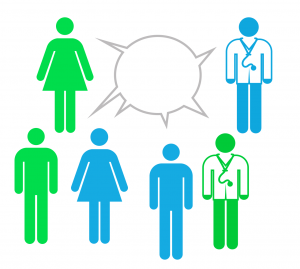 Compare patient’s substance use patterns and problems to similar people in the population. Allow the patient to have an active rather than a passive role in changing his/her behavior and taking responsibility for changing. Ask for permission to talk about substance use, “I’d like to talk about…, would you be willing…?”. Do not impose personal views or goals on patient: be open and non-judgmental. Acknowledge that the patient is responsible for his/her own behavior and for making choices regarding their substance use. Re-state/re-affirm the patient’s choice of continuing or changing the behavior (e.g. “So, you’ve decided to X, is that right?”). Share knowledge about substance use consequences in a gentle and respectful manner to encourage positive behavioral change. Listen to what type of information the patient is requesting and willing to receive. Advice should be simple, not overwhelming, and matched to the patient’s level of understanding and readiness, the urgency of the situation, and his/her culture. Provide educational (explaining information) or directive (giving suggestions) advice appropriately – by asking permission to do so. Increase awareness of personal risks by reviewing the medical, psychological, and social harms associated with continued use. Work with the patient to generate a range of alternative strategies to cut down or stop their substance use. Reinforce the patient’s control and responsibility. Elicit what has and has not worked for the patient in the past. Provide accurate information about each option. Discuss possible implications of choosing one particular path. Help the patient create a plan using one or more options. Provide supporting materials relative to the patient’s decision. Exercise a warm, respectful, caring, committed, and active interest throughout the brief intervention session. Use reflective listening and listen attentively to each statement and reflect it back in different words so the patient knows you understand the meaning. Create a safe environment that encourages free flow of information from the patient. Let the conversation unfold rather than direct it or interrupt it. Eliciting self-efficacy statements from patients allows them to believe what they hear themselves say and ultimately provides confidence that they will be able to make changes in their substance use behavior. Believe in your patient’s ability to change. Foster hope and optimism by reinforcing the patient’s beliefs in their own capacities and capabilities. Identify patient strengths to build upon past successes. Affirm small steps that are taken and reinforce any positive changes. The FRAMES bottom line: The best way to enable our patients to change their behavior is to allow them to play a role in determining what the change is and how it will be accomplished. This “buy-in,” coupled with your support that they can in fact implement the change, regardless of how big or small a change they choose, is often the difference between a successful substance use brief intervention and an unsuccessful one. In addition to FRAMES, you may encounter FLO. This is another way to remember the basic steps and strategies behind motivational interviewing. Which one you use, if either, is a matter of personal and professional preference. It is best to have the parent out of the room then set the agenda with patient while being collaborative. Goal: Acquires permission, explains why you are there, normalizes interview. Begin with some open ended questions to enable your patient to begin to open up on their own, if they are willing, prior to you presenting the results of the screening. Follow up on any answers and summarize what you have heard so that you can be sure that you and the patient have a shared understanding. Substance use may have come up in the previous open questions. If so, then you have a natural segue to screening results. If not, then you will need to provide one and then share the results. In the end, you have to let go at this point of trying to change the patient’s behavior and focus primarily on getting him or her to be willing to talk to you about your concerns, and, for that, you will have to listen, show them that you are listening, and truly empathize with them, that is, understand them. They won’t buy what you are selling if they think you aren’t paying attention to what they are saying. Ambivalence is very normal as a dialogue ensues. Assuming the patient has indicated some desire to change, then we need to support them in making a change, even if that change may be to continue to think about changing. To do this, we start with open-ended questions again, just as in feedback. We do this to provide the patient with the opportunity to generate their own possible options and plans for changing their behavior, which is far more likely to lead to actual change than if we set forth options and a plan for them initially. And your role becomes that of an advisor trying to help them develop and commit to plans and actions to make their menu choices happen. Helping patients is not always about getting them to STOP what they are doing. Sometimes it is just as important to help our patients take smaller steps that reduce the harm they may be causing. That is, although in certain circumstances we may want the patient to stop using a substance, including alcohol, altogether, this may not be a reasonable goal. In fact, sometimes attempting to get a patient to become abstinent can drive them away from getting the help they need. 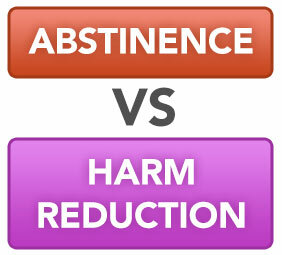 Starting with harm reduction and moving toward abstinence can be a great way to help your patient. Remember, if you can get them to say yes to some small behavior, you are well on your way to larger changes. 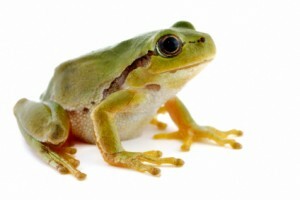 In a way, your patient is exactly like the opposite of the old story of the frog in boiling water. If you toss the frog into already boiling water, he’ll jump out. If you put him in water and slowly warm him up, he will stay right there. Our patients are often already in boiling water and they don’t even know it. We want to pull them out but they may jump right back in. However, if we slowly help them turn the water down, by taking small steps to reduce the harm they may be doing to themselves and others, then they may hop right on out of that boiling water on their own and with your help. Drink a full glass of water between each alcoholic drink that you consume. When we learn that our patients are using substances, we naturally want to help patients understand and change their substance use in order to reduce our patients risks and improve their health. Those changes may involve stopping use altogether, that is, becoming abstinent, or target smaller changes that are more readily adoptable by our patients, such as moderation or other harm reduction. Brief interventions are a first step we can take to help patients initiate change in their substance use behaviors. A good place to start with a brief intervention is to understand the patient’s stage of change: have they thought about changing? Where are they in relation to changing? With a particular stage of change in mind, we can then use FRAMES to help build a change plan with patient. Throughout the process, motivational interviewing, or MI, can help us understand, connect with, and foster change among our patients. We have presented SBIRT as a best-practice approach to substance use and abuse in the primary care setting; much of the previous content has focused on the SBI components, but there will be situations in which a patient is in need of more substantial treatment than what is offered through the SBI protocol, which in turn leads to the RT (referral to treatment) component of the whole process (SBIRT). RT really is a BI! The referral to treatment component of SBIRT uses the same skills and strategies as the Brief Intervention component. Basically, the only thing that changes is the objective: rather than fostering a harm reduction or abstinence change, we are initiating a change in behavior that involves going to another provider or source of support. Behavioral change is behavioral change, and supporting a patient to accept and follow through on our referral involves the same strategies. Stage of Change: Is our patient ready for a referral? That is, regardless of what we may thing, does our patient think he or she needs to go? How can we support this acceptance? FRAMES: How can we build, with our patient’s help, a plan that increase the liklihood of followthrough? Motivational Interviewing (MI): And, throughout this process, we can incorporate the objectives and strategies, the overall MI approach to patient-provider interaction, to foster this change: that is, to get them to engage in the referral. Referral to specialized treatment is provided to those patients who are identified as needing more extensive treatment than offered by the SBIRT program. The effectiveness of the referral to specialty treatment process is a strong measure of SBIRT success and involves a proactive and collaborative effort between SBIRT providers and those providing specialty treatment to ensure access to the appropriate level of care. When is it Appropriate to Refer a Patient to Treatment? A patient has screened as having the most severe levels of alcohol/drug use and/or has met the DSM diagnostic criteria for substance use disorder. Your patient is agreeable to participating in treatment. Of course, if your patient meets the first criterion but is not “agreeable” then you should still use your MI and brief intervention skills to raise the issue and attempt to bring about change in his or her stage of change. Giving your patient something to think about, planting the seed, that is, may be all you can do, but it is an important first step. A Patient diagnosed with SUD should be directly referred for acute treatment or to a SUD treatment program that will asses him/her to determine the appropriate level of care. Such a patient should also be referred for treatment of other mental and physical health problems. Treatment for all conditions should be integrated and coordinated. Successful transitions to and from treatment and between levels of care are supported by active development of a working relationship with your community substance abuse treatment providers. 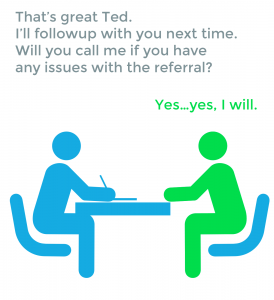 For patients who appear as though they will require a RT, an introduction to a need for referral can be integrated into the brief intervention component of your interaction. We suggest the following four steps as means by which you can set the stage for RT. Connect the patients screening results and current office visit to the need for specialized treatment. Set the tone by displaying genuine interest with active listening. Explain your role and concern as patient’s healthcare provider. When you are working with a patient to refer him or her to treatment, it is vital that you assist the patient in accessing treatment. It is probable that your knowledge-base of treatment options and service providers is more substantial than the patient’s and that sharing this knowledge in order to provide an array of options will greatly facilitate this process. Discuss a range of treatment options . Identify programs and providers by name and have contact information available. Assist the patient in making the first appointment by sitting with them while they make the initial call. Call the insurance company with patient present to determine payment and next steps. Prepare the patient to address insurance and payment for treatment by providing contact information for insurer and for any local authority overseeing access to treatment. 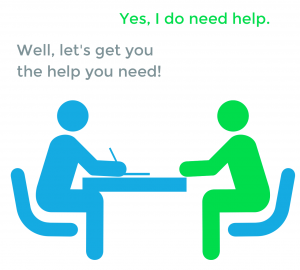 When handling referral to treatment, or ongoing treatment yourself, you may hear about something called “Brief Treatment.” Brief treatment is distinct from SBIRT’s brief interventions (BI) and is not the same as referral to treatment. Brief treatment is a distinct level of care and is inherently different from both brief intervention and specialist treatment. Brief treatment is provided to those seeking or already engaged in treatment who acknowledge problems related to substance use. Brief treatment in relation to traditional or specialist treatment has increased intensity and is of shorter duration. It consists of a limited number of highly focused and structured clinical sessions with the purpose of eliminating hazardous and/or harmful substance use. Generally, you will not be expected to determine whether a patient needs brief treatment or traditional specialty treatment. That will be determined by an addiction specialist after the patient receives further assessment. Will your patient benefit from referral to more specialized care? If so, which care? Will they take advantage of the referral? In the end, RT is a behavior change: Knowing patient stage of change can help you foster the change, remove barriers, and facilitate the referral. Generating options, choosing from them, jointly developing a plan to implement them, and getting the patient to overtly endorse the plan “Yes, I will…” can make the difference between an referral offer that is accepted and acted upon and one that languishes. Referral to treatment (RT) is an important part of patient care. Facilitating the hand-off of a patient to more specialized care is the same whether the health issue is cardiovascular, dermatological, substance use related, or any number of other health care concerns that we encounter with our patients on a daily basis. Acceptance and follow through on a referral is an important behavioral change on the part of the patient. He or she must choose to accept the offer of a referral and must be willing to take advantage of the specialized care. This can seem like a burden to patients, involving as it may, stigma, embarrassment, and self-doubt. Facilitating a referral is the same as any brief intervention: understand the patient perspective, remove barriers, and support acceptance and self-efficacy. 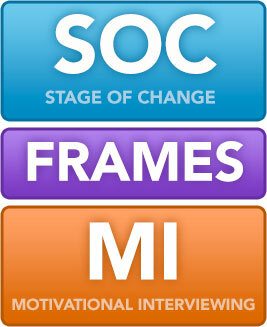 MI, FRAMES, and Stage of Change can help. Substance abuse is prevalent and you can play an important role in reducing your patients’ risks. By taking the relatively small steps necessary to implement SBIRT in your interactions with each and every one of your patients, each and every time you see them, you can markedly increase the likelihood that you will identify substance use and abuse and be able to do something about it. Because Indiana code does not require you to notify parents but allows you to do so, each situation has to be handled on a case by case basis using your clinical judgement. In the end, you do not have to inform parents, but you may do so if, in your opinion, it will benefit the patient or is needed for other reasons such as seeking payment. The ideal solution: help the patient see the value of involving his or her parent(s), a task well suited to the MI skills discussed in this course. SBIRT is a proven best practice. It is effective. It is efficient. It is acceptable to a wide range of patients and has been implemented in quite diverse healthcare settings. Future modules will provide more guidance on how to work through each of the SBIRT components, the S, the BI, and the RT, in greater detail. In the interim, will you take a small step yourself and try to screen several patients even when you don’t think they are at risk? Such screening is simple, short, and painless for your and the patient, yet can make a substantive difference in your patients’ lives. Thank you for completing this course.